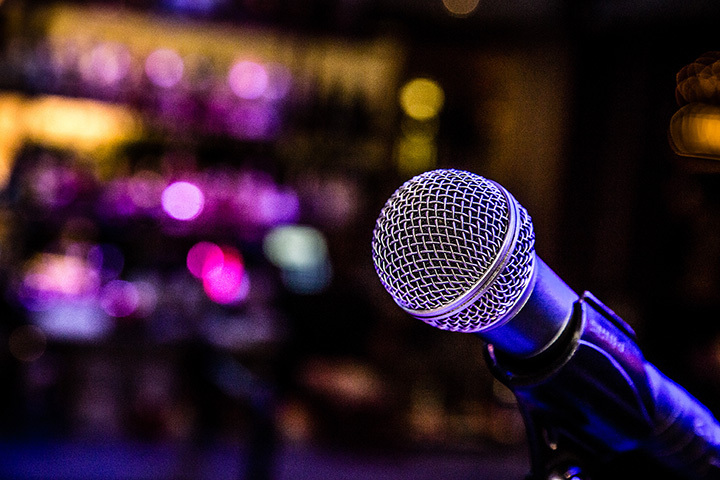 As a mecca of entertinament, it’s no surprise that Nevada is home to some of the best comedy clubs around. Whether you are in Las Vegas, Reno, or places in between, chances are there is a comedy club near by. You never know who you might run in to at one of our top 10 favorite comedy clubs in Nevada. Gregory Popovich offers a different type of comedy club. His show stars 30 rescue animals who will keep a family friendly audience in laughs. The jokes are often silly and feature great gags, but you can't help but fall in love with this little theater in the heart of a not so little city. The MGM Grand liked the comedy of Brad Garrett so much they built him a custom theater for his act. He is the headliner and hosts many of his comic friends in this unique showcase. This club is a little hard to find since it is actually UNDER the city. They host a variety of traveling comics and some big names of comedy. The audience is a mix of tourists and locals. Mystery dinner theater meets comedy show in this interactive adventure. The theater doubles as a quaint dinner party where the audience is part of the show. Whether guests want to play a quiet background role or upgrade to the full R.I.P experience there are always laughs. Harrah's hosts the Mac King Show, with the star being Mac King of course. This comedian slash magician is classic Las Vegas. He is quirky enough to keep drawing crowds and pushes the envelope just enough to even break world records. This comedy club is the iconic name in the game. They draw both talent and crowds from all over the world. With three new comics every week, there is always something fresh going on there. Don't be surprised if your show happens to have an unannounced star or two, sometimes they just drop in. The Improv is casino-based comedy at it's best. The crowds are usually laid back as they are on vacation and the comics are on the higher end of the circuit. Atmosphere is comfy with a bit of chic as accent. The theater at Planet Hollywood is the perfect space for this comedy with a twist. Marc has been known to captivate an audience, literally. He is not only a comic but also a hypnotist. Audiences never really know what to expect from this intimate theater experience, but they keep coming back. This comedy club is actually a moving target. The unique approach to a tour of Hoover Dam combines a bus turned comedy club and some amazing tourist traps. This isn't your average club but then again this is not the average tourist adventure. The best deal is the “Hoot and Hoover” package. Nathan Burton will probably seem vaguely familiar, hes been seen on just about every major network. The small audience sized theater gives everyone the best seat in the house to try to figure out he he does the amazing acts he manages to pull off. View more Nevada Comedy Clubs.